SUP Boarding is a super fun activity and perfect to do on the mid and high tide, when the water is deep enough to paddle through the lagoons of Paje. Best days for this sport are the calmer days with little or no wind. It is a great sport, easy to learn, fun and perfect to train your core balance. Board rental is possible any day on the mid and high tide just in front of our center. It's nicest on days with no wind or light wind and challenging on windier days. If you have never done it before our beach assistants will show you the ropes during a introduction, included in your rental. It is fun to do a workout paddling up current and upwind and drift back on a relaxing paddle. The adventurous ones can try and reach the reef. If you don't want to mission far you can cruise through the lagoons in front of our center or practice some handstands or turns on the board. 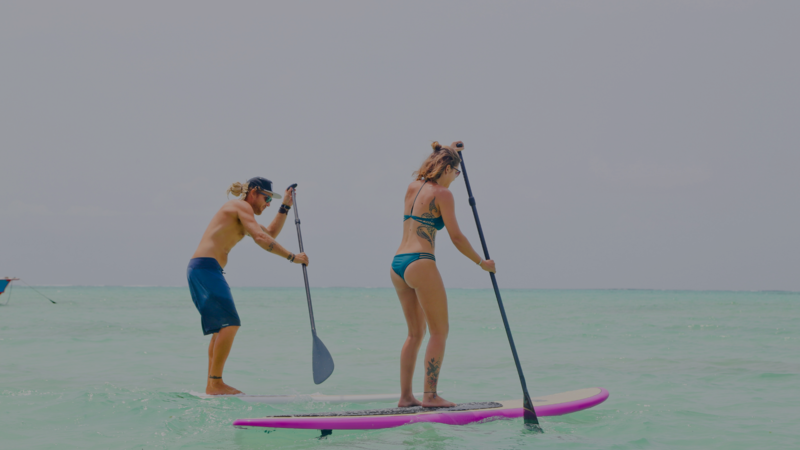 The guided wave trip by SUP is a trip rather suited for those that already had previous paddling experience, as you'll need to have a good balance and technique to be able to catch some waves. 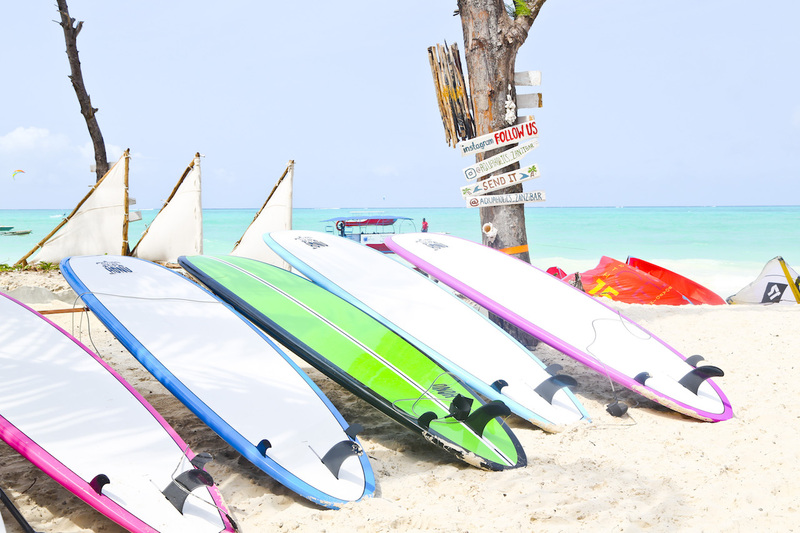 We head out to the reef by boat, drop anchor and continue to the waves where'll you have plenty of time to SUP surf. Our experienced guides will be available for some advise on which waves to go for and the right technique to paddle in. For beginners who would like to try it is possible to join on really calm days with very small surf. This tour is approximately 2 hours long. Copyright © 2017 Aquaholics Zanzibar. All rights reserved.